Allwinner SoC-Only 3-Mic Far-Field Dev Kit is Allwinner’s official development board targeting at audio recognition field, which is certified by Amazon.Powered by Allwinner R18 Quad-core CortexTM-A53, Its rich features and cost-effectiveness make audio intelligence further close to our daily life. 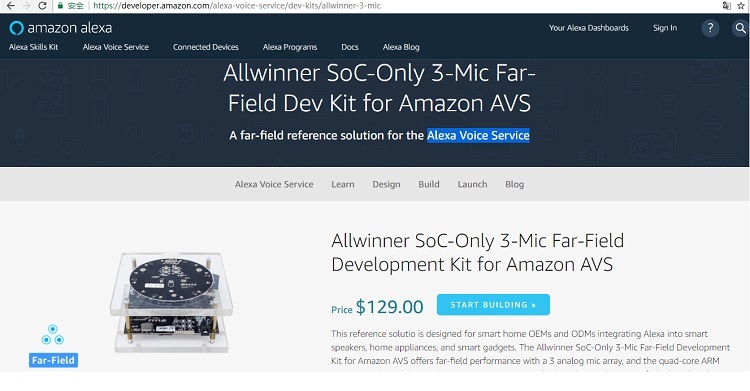 The AVS Developer Kit is a qualified device enables Alexa Voice Service (AVS) that allows developer to interact with Alexa Voice Service hands-free. 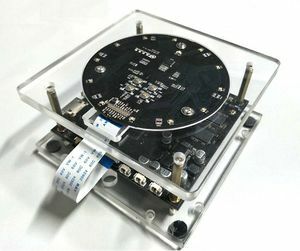 It includes a 6-mic array and one base board that provides various peripheral interfaces. Services to play music, ask questions, set alarms, play iHeartRadio, news, sports updates, weather and more are available on this kit. 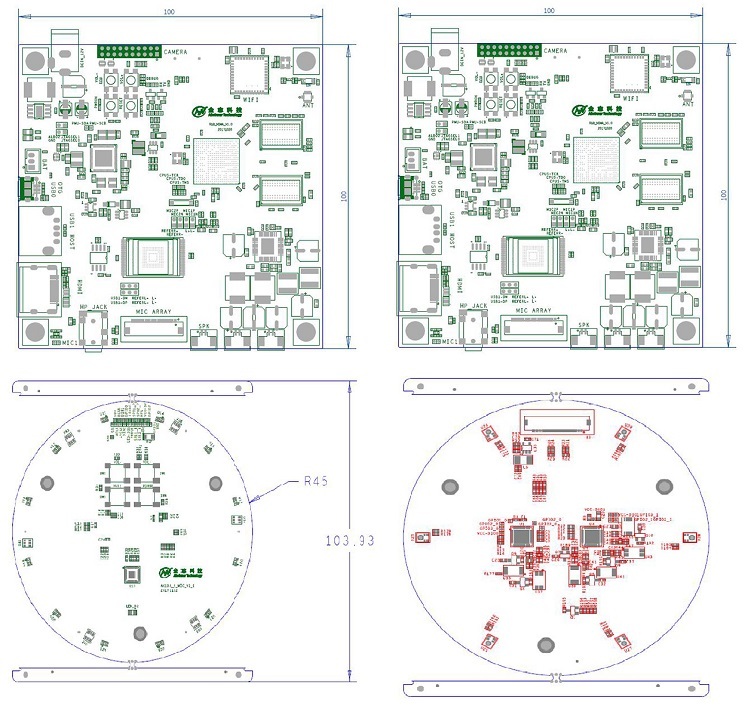 With Gmems’s front end algorithm, the developer kit is equipped with most advanced beamforming, noise reduction and echo cancellation technology so that your commands can be easily picked up even under noisy environment or during music is playing. 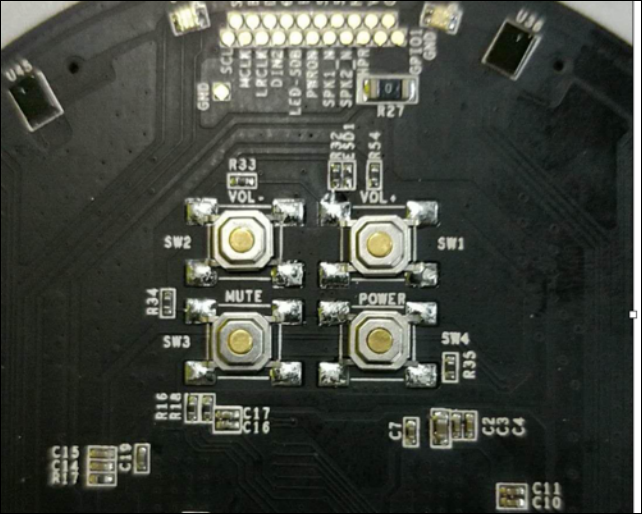 Allwinner SoC-Only 3-Mic Far-Field Dev Kit comes with three components - mainboard,MIC board,Flexible interconnection ribbon cable and copper pillars, power adapter is not included. 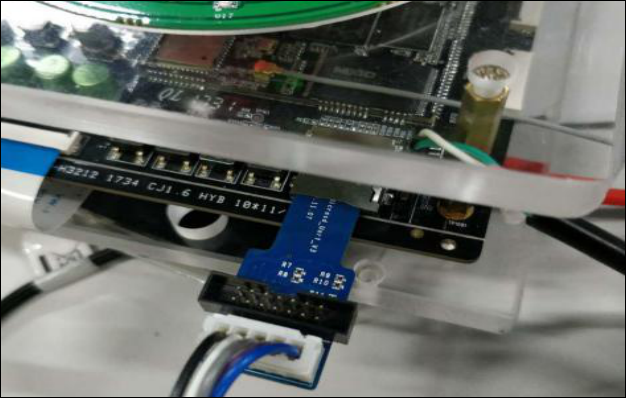 adb push and adb pull commands can push data from PC to developer kit and pull data from developer kit to PC. 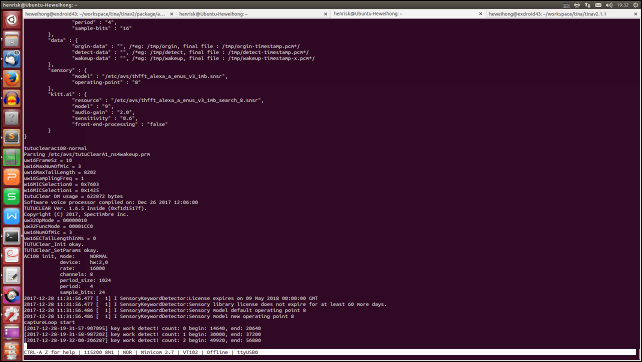 just drag the file to command line tool, it will display the directory automatically. Without internet, developer can’t enjoy the Alexa Voice Service. Type the command below to connect to Internet: wifi_connect_ap_test “ssid” “passwd” ssid and passwd are your network name and your password respectively. /etc/avs/test.json is the configuration file includes device registration information and user CA certificates. 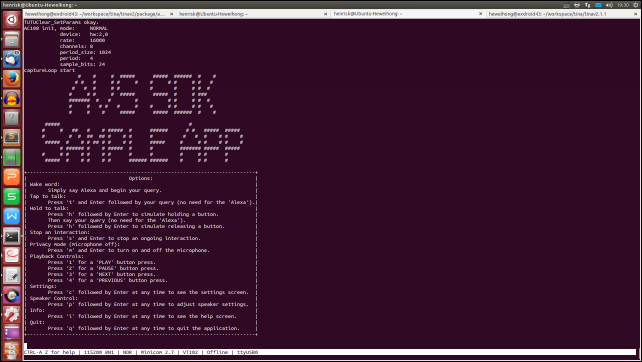 pull the default test.json file to /home/AVS/ directory. "productId":"<Product ID for your device from the Amazon Developer Portal>"
NOTE: The deviceSerialNumber is a unique identifier that you create. It is not provided by Amazon or Allwinner. The refreshToken is the only parameter related to your own account, please follow below steps to create your own refreshToken. You can keep other parameters same as the default test.json. 1. You can keep other parameters same as the default test.json. 2. install python and pip on your Linux environment, then install Flask and requests: pip install flask requests if there is any other missing python packages.please install them in the similar way. 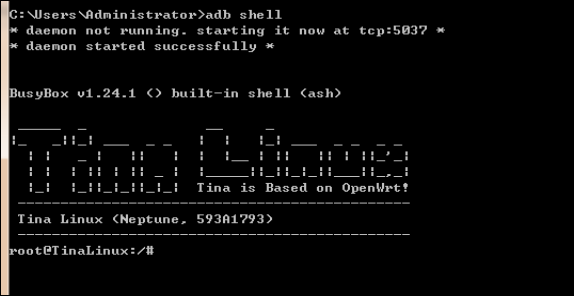 4. start AuthServer by running: python AuthServer.py， You should see a message that indicates the server is running. 8. adb push C:\test.json /etc/avs/ push the new test.json to reference kit. 9. run SampleApp again and enjoy your iHeartRadio or Kindle or Amazon music. 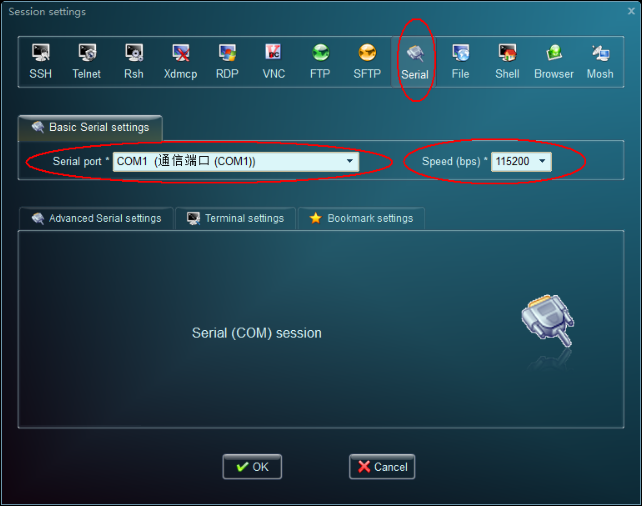 1.install the software, please see Livesuit.doc and PhoenixSuitUserManualV1.0.doc for more information. 2.download the image from our website, select the image in PhoenixSuit and Livesuit. 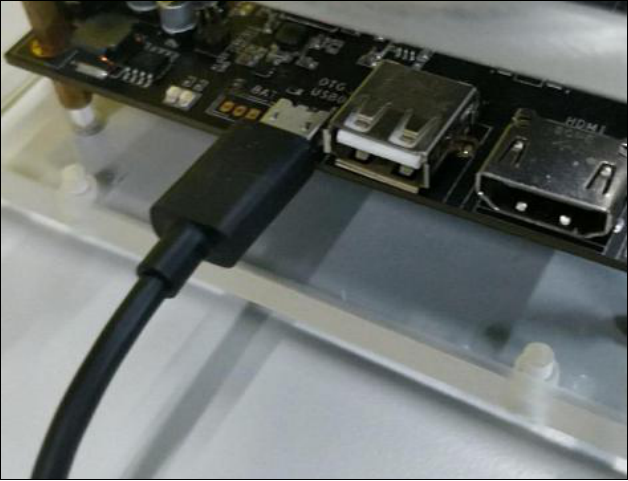 3.Unplug power cable and mini-USB from the board, press the VOL+ button and hold it until plug in the mini-USB cable to PC, release the button, it should ask if format the device is necessary before start flashing. Note: documents, configuration file, software, scripts, drivers mentioned in this guide are shipped with the User guide. 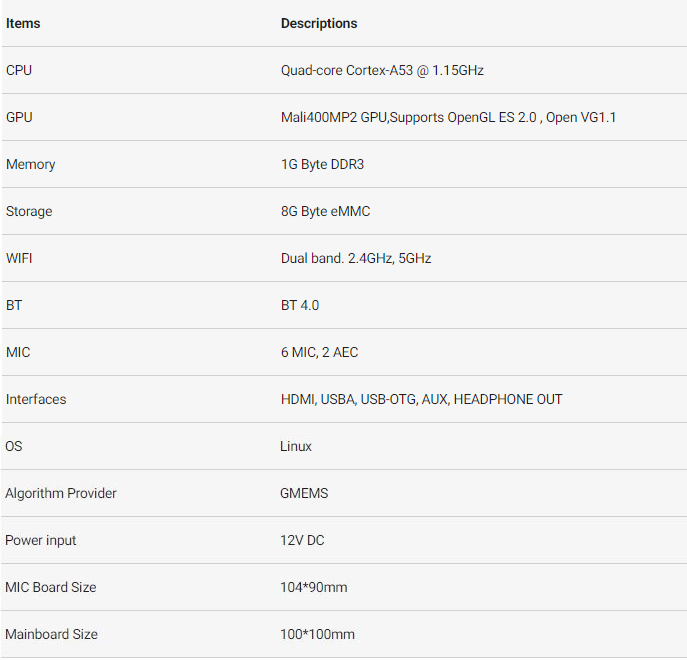 This page was last edited on 29 October 2018, at 20:35.